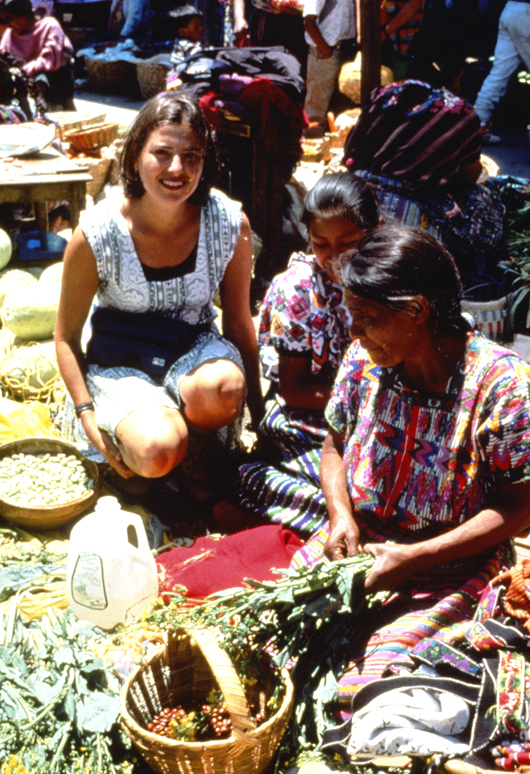 Justine Shapiro starts her journey in Merida, Mexico, the capital of the Yucatan peninsula where she visits the local market and samples the local delicacy, cow’s stomach stew. From Merida, Justine heads for the ruins of Chichen Iza and the beautiful beach of Tulum on the Caribbean Coast. The Mayan ruins of Tulum (meaning ‘the rising sun’) are located on a small cliff facing east out to sea. Belize is one of the only English speaking countries in Latin America. It was first populated by Mayan Indians and later settled by English pirates and wood dyers. Just a few kilometers off the coast is the second largest coral reef in the world. Justine witnesses a town festival in Dangriga, a tiny town populated by Garifunha people – descendants of shipwrecked and runaway slaves who escaped a few centuries ago from other Caribbean islands and Honduras. After flying down the tiny idyllic beach resort of Placencia, Justine goes scuba diving near a beautiful island, in perfectly clear water full of dolphins. She also goes on a river trip to see the famous howler monkeys. Inland to the highlands, Justine meets two Mennonite families – religious refugees from 18th century Germany, Holland and Russia who still speak old German, before stopping off at the Mayan ruins of Caracol. More people lived in this ancient city than presently populate the whole of Belize. From here, Justine takes the bus over the border to Guatemala. Her first stop, the Mayan ruins of Tikal, are located in the heart of the jungle, but are much more touristy than Caracol. After flying into the polluted and rather ugly Guatemala City, Justine heads west to Lake Atitlan and the Indian villages surrounding the lake. She visits an indigenous painter, goes to an Indian market at Nahuala and then heads to the Easter celebrations in Antigua, hailed as the most spectacular in all Latin America. Justine’s trip ends with her own personal adventure, climbing the spectacular active volcano of Pacaya.